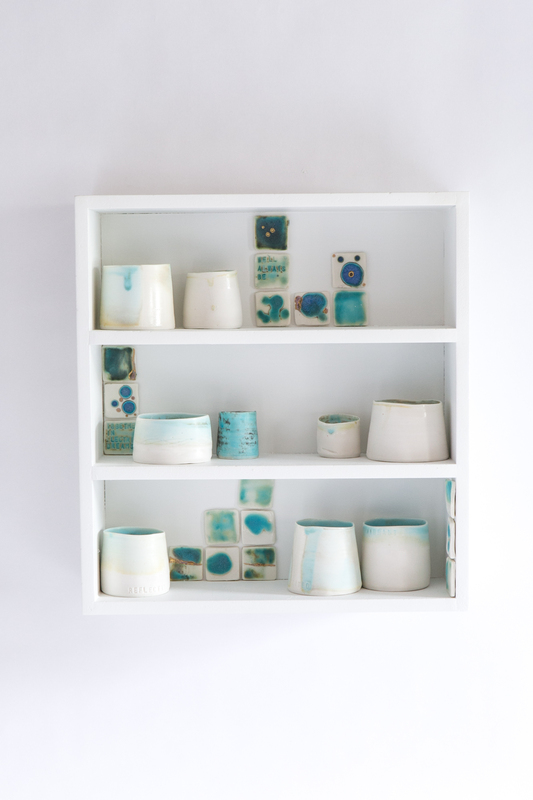 My work is about the domestic shelf and how it tells a story. Groom (2004 p18)’ reminds us of the radical instability of the object and its dependence on framing devises, both physical and conceptual.’ Framing is the final stage in the process from making, decorating, glazing and firing. The pots are finished and can be played with again on the shelf. The domestic shelf in most homes contains objects that should not be there. Imagine for a moment, that you’ve just decorated your lounge. The mantel piece cleared and you’ve now carefully arranged a display of objects; the Ikea vase, the clock and the photo. It might stay tidy for a week but gradually over time, clutter/stuff accumulates. For example, phone chargers, photos, letters, tickets…. It’s actually these bits of mess that tell our story more than the display that was there in the first place. Atfield (2000) has investigated order and clutter in the domestic and argues that this reflects our stage in the human life cycle. As a woman juggling children and work, domestic rituals and interspersed in my day. Clutter, washing and mess leave a mark in our homes and I wanted to try and capture that on the surfaces of my vessels, like a fossil of memory. 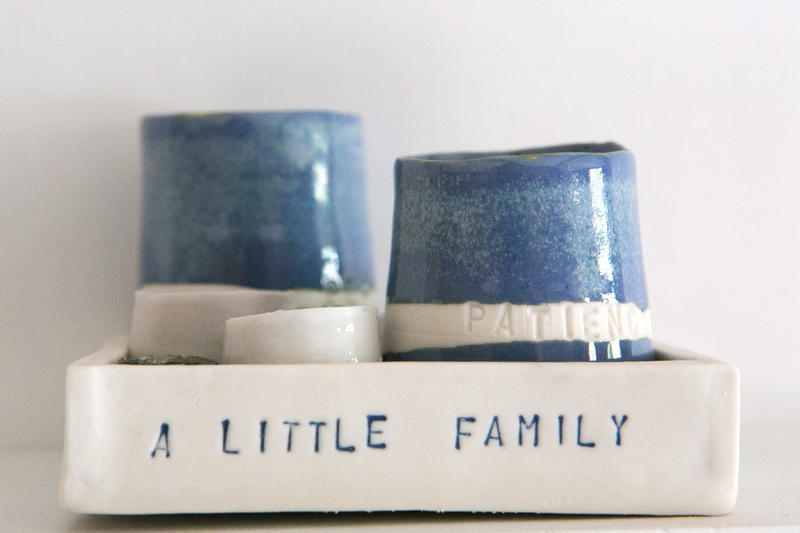 As well as marking my pots with traces of the everyday, I‘ve been making bits of ceramic clutter to arrange or hide next to my pots on a shelf. By making the old photos out of ceramic material gives more weight and a position of permanence. 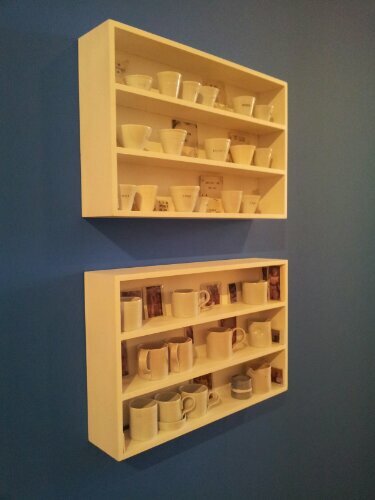 Edmund De Waal’s minimalist, ordered shelves are awe inspiring but they are very serious. If I had one in my house, clutter would soon be added. 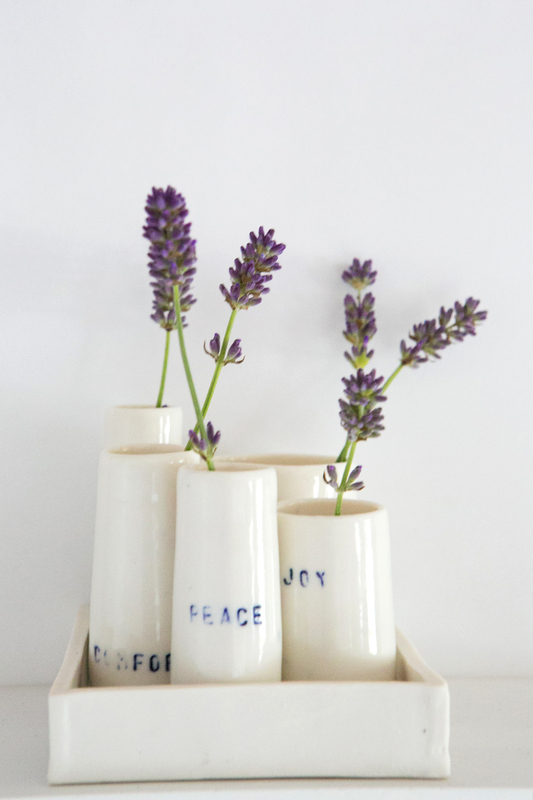 My pots are a light hearted statement about minimalism meeting reality and the treasures found in the mundane activities which make up most of our lives. One might argue that if my work has descended into chaos that I don’t need a shelf. Having experimented with trays, recycled shelves and hand built shelves, I have concluded that my little families of pots need a house to live in. my little shelves, remind me of a dolls house where the contents can be endlessly rearranged. I’m dealing with ‘phenomological ideas of space and the psychology of the group and the individual’ (Foster 2009). The spaces I’m interested in are my own domestic ones. Bachelard (1964 p102) describes the home as ‘an empty shell, like an empty nest, invites daydreams of refuge’. The shelf becomes the shell and I might invite others to daydream! 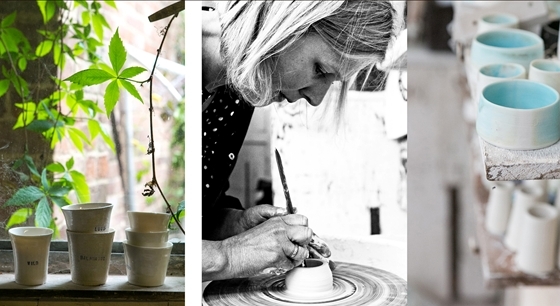 During the winter, I became increasingly lonely on this new journey making ceramics and realised my need for people. People inspire and energise me and the more time I spend on my own, the less work I get done. Around the same time, I was aware that my friend Jilly had just started a new community café in Lillington (near Leamington Spa) as part of Leamington Food bank. I approached her to volunteer as someone who might run craft workshops in the café. I had run workshops commercially for many years, but didn’t want to rush straight back to this at the first sign of loneliness. I wanted to make my own Art and as my art is about community, this felt like a good place to try something new. I also find making my art very therapeutic and wanted to share this with others. I decided to set up a craft/clay club on a Tuesday. Initially, I thought people would be keen and interested to join in but after two or three weeks realised that there wasn’t a huge amount of interest. Friendship had to come first and friendship takes time! Having initially started with clay, I scaled back to card making and pom poms. This provided an opportunity to talk to people and find out about other peoples lives. On a Tuesday, a lad called Craig who has severe learning difficulties comes with his carer and plays music for the café. This is often very loud and creates almost a party atmosphere. It was while singing along to Abba one day that we got onto the subject of song lyrics and started talking about our favourite songs. During this period, I was also interested in putting words onto pots and almost without thinking about it too much the project began. Tuesday’s at the café have become a day that I really look forward to and have helped me get on better on other days when I’m on my own in the workshop. At the café, you are accepted as you are and allowed to be yourself. Jilly allows both volunteers and customers to take risks and try new things. This might be clay murals, playing loud music, playing basketball outside or cooking adventurous food that might be considered too complicated for a community café with a small, windowless kitchen. Welcoming others to share skills and ideas is a wonderful way of increasing self esteem and confidence. We are perhaps ‘ playing’ with ideas and making sense of the community that we find ourselves in. This could be likened to children making sense of the world by ‘playing’ – making mistakes and trying new things. I got a sense that we are all broken people and our communities are messy, dynamic and changing continuously. I decided to create a giant scribble picture made out of tiny rolls of porcelain, which were then printed with lyrics that mean something to particular individuals that are part of the café. I was trying to represent each individual at the café in a way that expressed their character and personality rather than their job, marital status or race etc. I wish I had recorded some of the conversations we had when discussing song lyrics. Song lyrics can make you laugh and make you cry and taken out of context became either very funny or extremely profound. We managed to get a small amount of funding to cover the cost of materials but I’m all the richer for having decided to take part in this new venture. Initially when you consider running a community café at Lillington, with all the restrictions on the building, it seems like an idea that might not work. The hall isn’t perfect and packing away each day is a pain, the kitchen is too small and hot, and the office feels like a cupboard. However, it works because of the people – the atmosphere is warm, welcoming and I believe that some of the relationships formed will last a life time. We don’t need many friends to feel totally different and much happier and healthier as a result. Very pleased with my photos (taken by Fioana Murray) on front page of the OS website. The process of making and the enjoyment I find in it is significant, especially as I try to master a new tacit (Dormer, 1994, p14) skill. Throwing a pot is something you can only learn over time. It’s very hard to put into words and is something you feel physically. Each pot I make is another individual in the collection, striving each time to be better than the last. Will I ever make the perfect pot or is it my imperfection that makes my work human? I’m continuing to improve my skill at throwing and glazing, both of which are very time consuming. As part of learning to throw, one needs to consider the form and function of the vessel. The limits of learning how to throw a new form, repeating endlessly, make me consider the different possibilities of the same form. 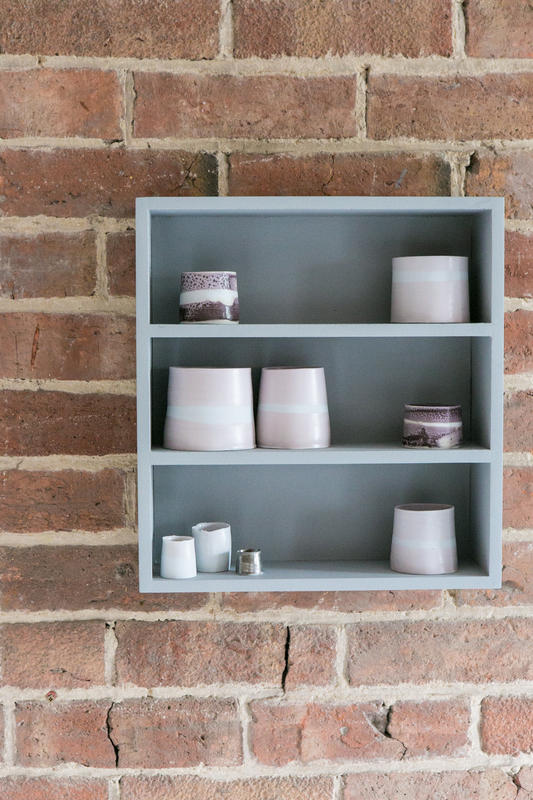 The work of Edmund de Waal and Chun Liao has been significant in terms of their use of the cylinder, particularly in groups. I have become addicted to throwing and have an obsession to improve. In increased skill there is creative freedom. I think, because I began with craft, I have a sense of security when making a pot. It may be a piece of ‘abstract art’ (Roberts, D 2010 p14) but as a pot it’s also a metaphor, a container, an idea, a cup. It’s socially acceptable and part of the universal everyday experience. Throwing as an activity seems intrinsically linked to how I’m feeling, which can be very frustrating when I’m tired and grumpy and trying to finish a commission! I have become obsessed by the cylinder – it’s open, straight forward, simple and there’s nowhere to hide, perhaps childlike. 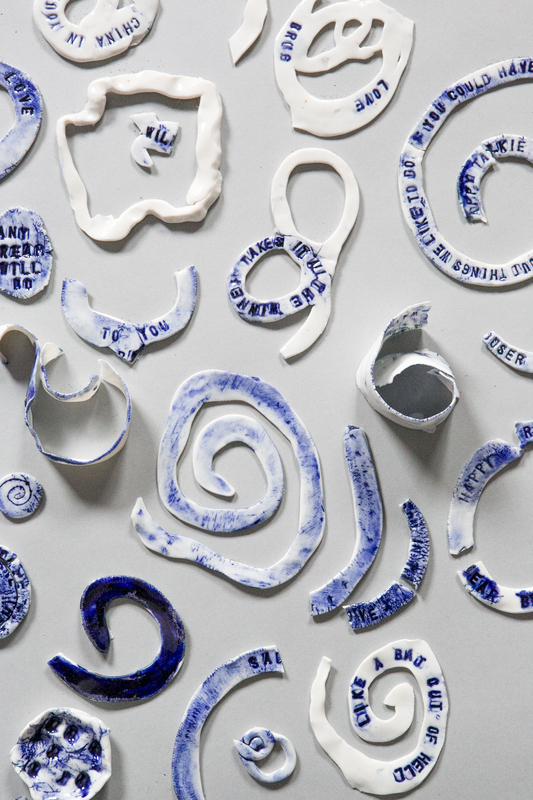 Ceramics can be art and both functional and non-functional. I have fallen in love with the vessel and all that it represents with its echo of function and as an empty space containing ideas. I would not hold to the view of William Morris that everything in my home should be both functional and beautiful; I think there is room for both. However, there is a certain irony that the main theme of my work is the domestic house and the people who live there. My work is about communities and people. So often the vehicle for that communication is the vessel for ‘that cup of tea’. My interest in collections of pebbles and shells started as a child and it was the process of ‘treasure hunting’ for tiny Cowry shells on the NorthCornishCoast with my brother, that gave me immense pleasure. Playing on the beach or at home with Dave, despite the age difference, was relaxing, absorbing and exciting: much like playing with clay. And so my journey began: collecting pebbles, making pebble pots and now translating the vessel into those collections of memories that are my childhood. It’s free play, often outside and often with Dave that I remember as the most joyful. In 2010, I stumbled across the work of Chun Liao on the top floor of the V and A, and instantly fell in love. Emmanuel Cooper (2009), himself a maker of collections of pots, describes a series of tall cylindrical pots where she created one pot for each calendar month. ‘It’s a collection that presents a story of shifting moods and concerns’. Her pots are vibrant and bold ‘rainbows of light’ (Cooper 2009, p40) made of pale translucent porcelain glazed with soft celadons. 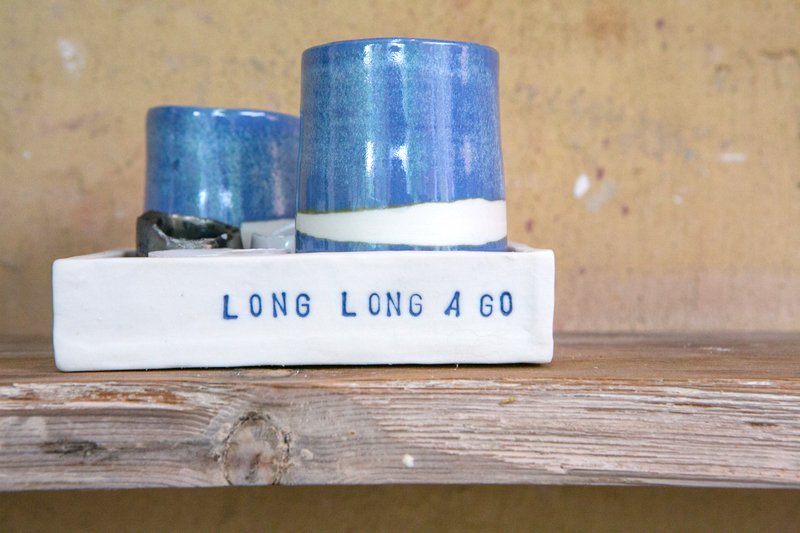 Her pots are joyful and playful, rather than reflective and contemplative as Leach might have preferred. 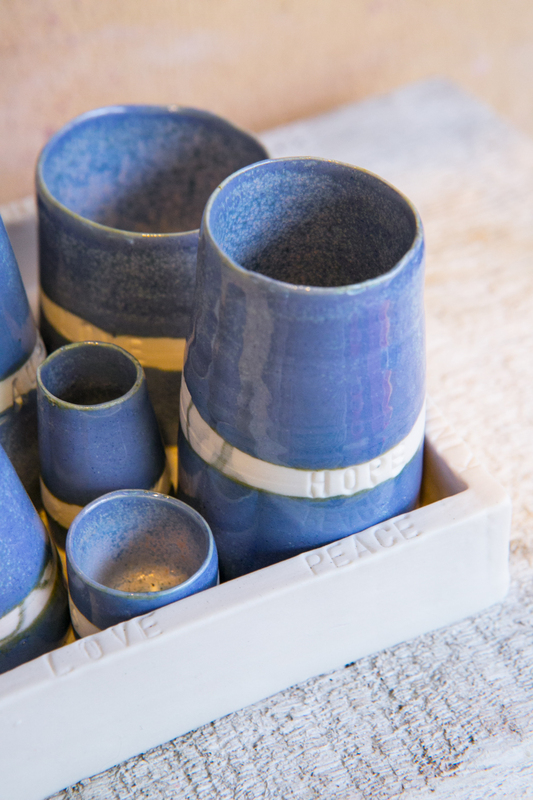 Initially when I started making ‘Project 23’, I envisaged a shelf of very simple, elegant, reflective vessels, perhaps like a traditional memorial piece, reflective and thoughtful, almost spiritual. I started making a vast collection of pots, some cylinders and some bottles. I had planned to spend hours on each one but it became a playful, intuitive activity. I always was far better at playing than planning. Cooper (2009, p44) describes Chun Liao’s approach where she is able to express aspects of emotional engagement with the world, reflecting John Constable’s view that painting (pottery) is about feeling. The tiny scale of her work gives a jewel like intensity. 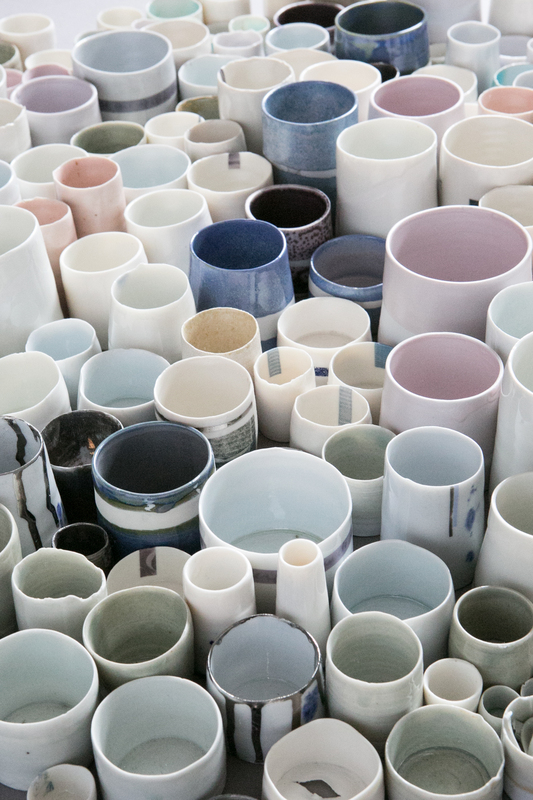 My collection for ’Project 23’, became vast (I must have made 300 pots! ), and Dave was on my mind so much of the time. It seems I couldn’t make anything to do him justice if I thought about it too much. What should I make for age 2, 3 or 4? I just couldn’t answer that. Piet Stockmans’ work caught my eye on the same visit to the V and A, where there was a small wall mounted installation in the characteristic porcelain and blue slip. It was that classic colour combination that I have always found so appealing. His work could be grouped with Liao’s because they both make multiples of the same shape. Twomey (2007, p34) describes how he explores the concept of multiples expanding the edge of craft – thinking by paying respect to the craft object whilst simultaneously subverting it with a’ thoroughly art driven motive’. 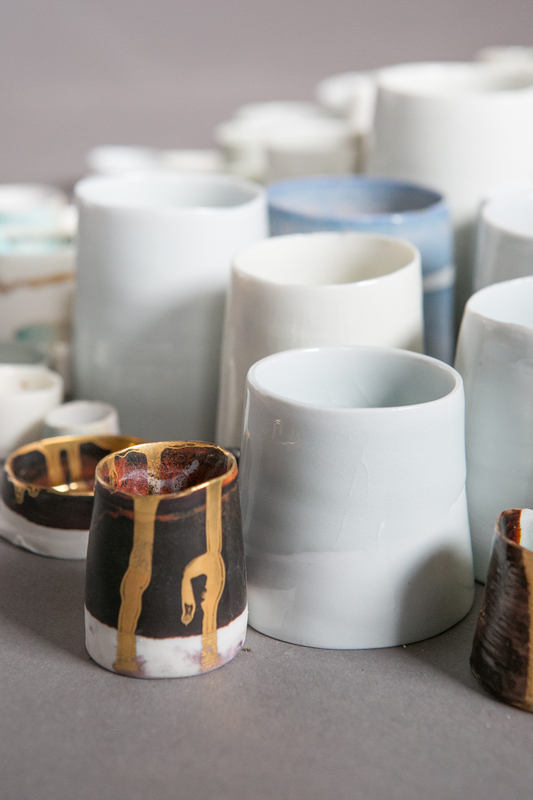 Stockmans makes large scale installations in gallery spaces, performance pieces and even industrially produced tableware. A brief look at his website will show how diverse and varied his work is. It is not as emotional or intuitive as Liao’s but nevertheless creative and playful. In ‘Project 23’, I am hoping to combine intimate emotions with a playful twist. Stockmans’ extremely limited palate amazes me as the possibilities are seemingly endless. Paul McCallister (2011) suggested in a tutorial that I limit myself to one or two glazes and ‘get to know them properly’ rather than jumbling around with too many possibilities. I made a decision to do this at the start of this project and was going to simply use porcelain and a transparent glaze which produces a very pale blue under reduction in a gas kiln. I would simply leave tide lines which would describe the shape of Dave’s brainwaves (curved, healthy and spiky, epileptic). It was simple, subtle and reflective. This project was going to be straightforward! And yet it just didn’t work! It wasn’t me, it wasn’t Dave and it was terribly plain. By accident, I one day splodged cobalt blue on to the surface – was this trace of colour a way forward? My collection was growing; I just kept making and thinking or making and not thinking. The more I investigate makers of collections, the more I remember Gormley’s ‘field’ has a narrative (Twomey 2007, p37) and is site specific. His work is so vast that he employed others to make it in the brickworks, Mexico. Similarly, Ai Weiwei’s sunflower seeds which were in the Tate Modern in 2010 are a political statement made by a whole village in China. It is significant to me as a maker that although Ai Weiwei didn’t make all these millions of seeds himself, he cared deeply that they were lovingly crafted with skill. Quality and skill matter! It seems that these makers of multiples have very different intentions, but I have learnt that I am a maker of pots in collections. I want to explore why I make pots and what function they have in the next chapter. 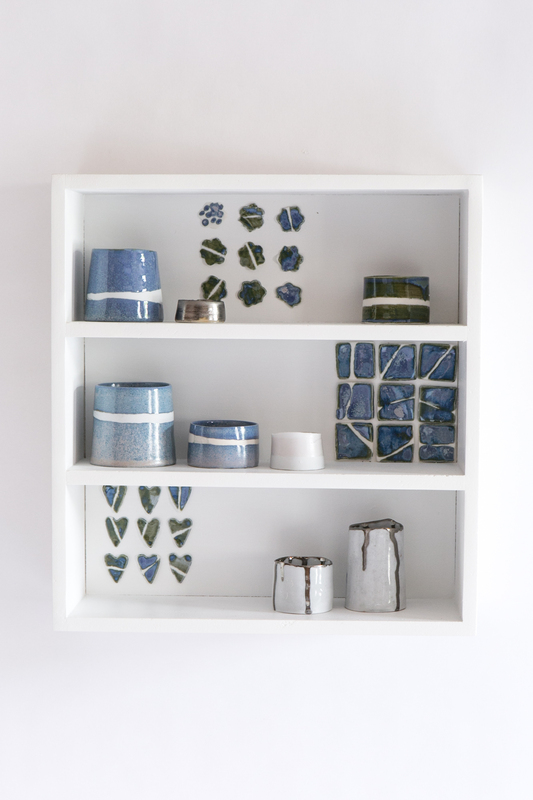 I thought this collection would be so easy to make, I’d planned and visualised it and yet it wasn’t good enough; it seems I needed to play intuitively and see what happened. 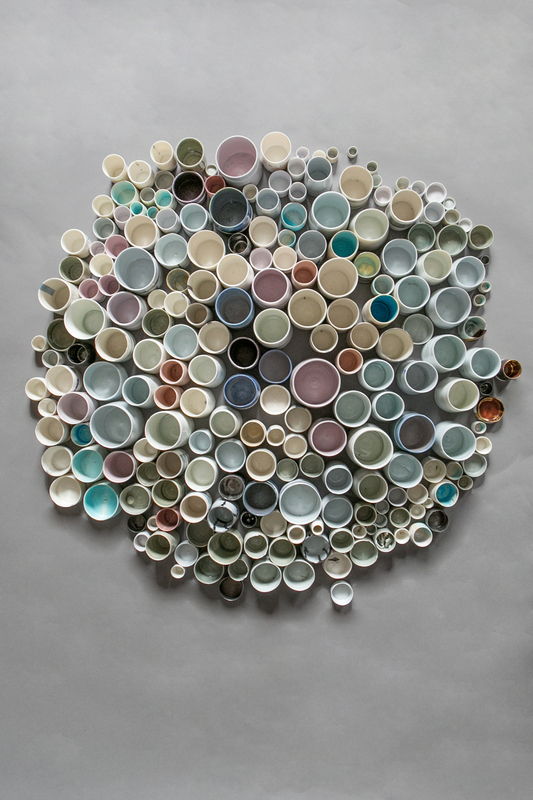 Cooper, E. (2009) ‘Rainbows of Light’, Ceramic Review. 238. 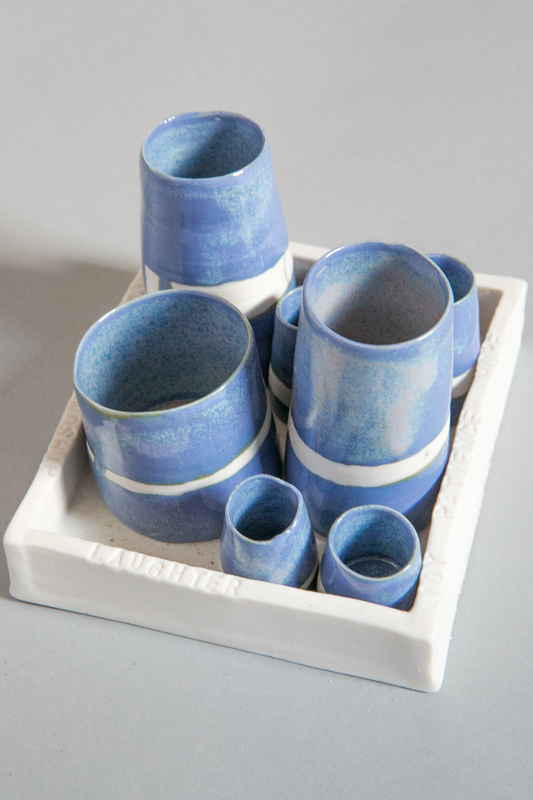 Twomey, C. (2007) ‘Contemporary Clay’, in Hanaor, C (Ed), Breaking the Mould, New Approaches to Ceramics. Blackdog Publishing. 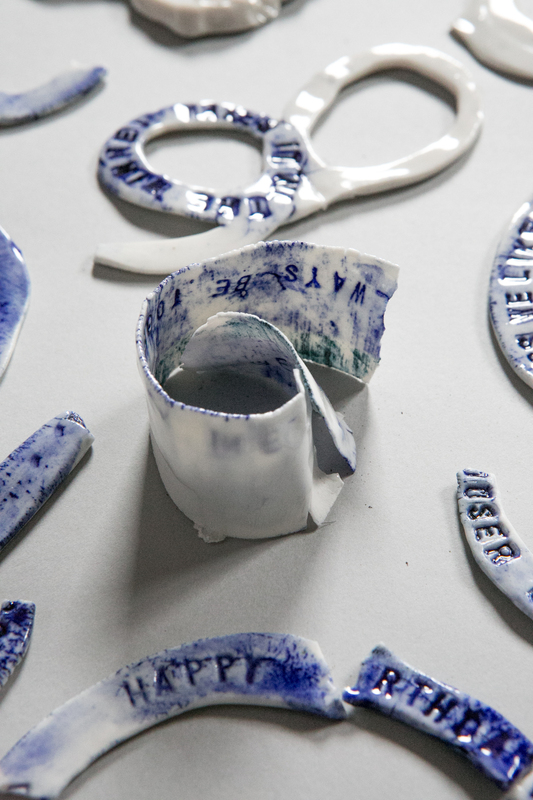 Project 23 – A Ceramic Memorial Installation.